This tutorial will show you how to install the 25" 144W double-row LED light bar on your 2007-2017 Jeep Wrangler JK (35-970). 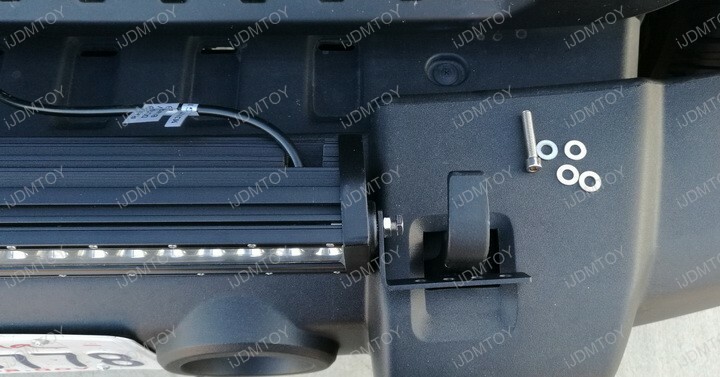 After some testing, we have found that it's possible to mount an LED light bar on top of your bumper using the existing tow hooks. 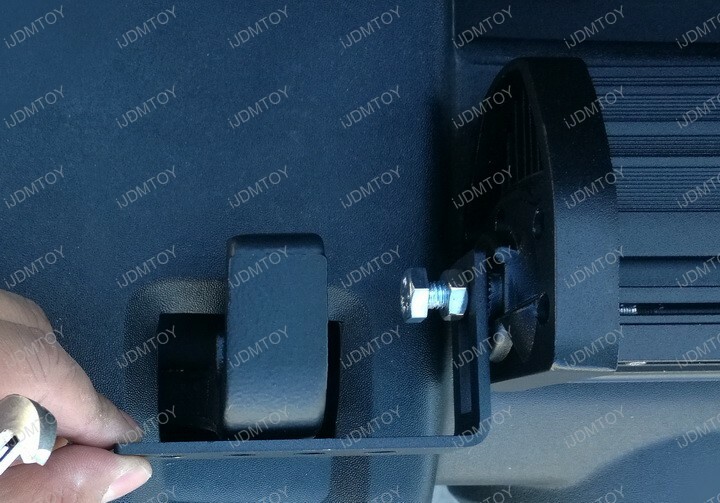 This is by far the most hassle-free LED light bar mounting method. 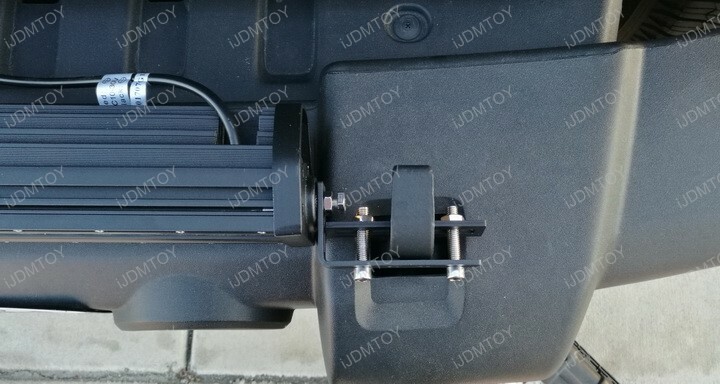 This LED light bar will sit flush and be fully secured. 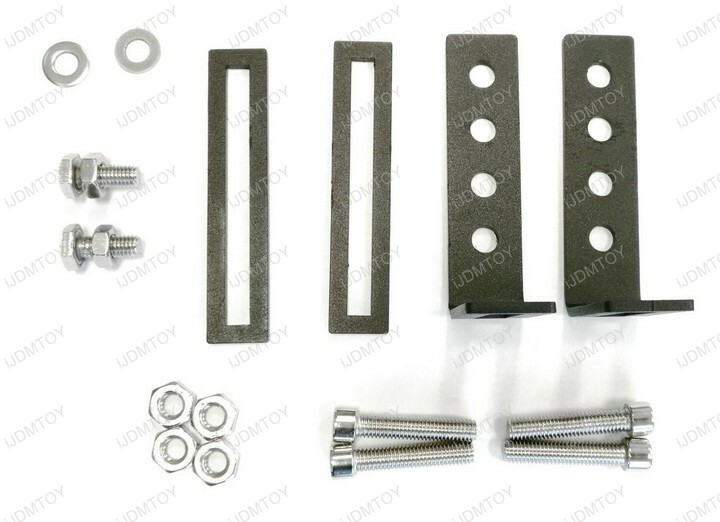 The package includes the following hardware: 2 L-shaped mounting brackets, 2 rectangular brackets, 2 washers, 2 nuts and bolts combination, 4 washers, and 4 2" screws. 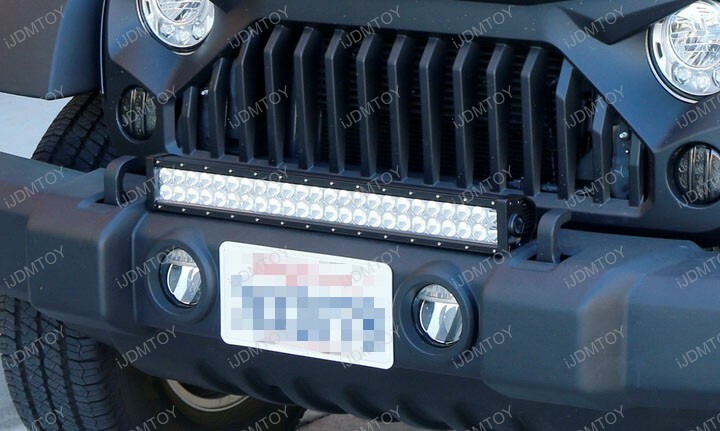 Step 1: Place the LED light bar on top of the Jeep front bumper. We configured the length of the LED light bar to match that of the center section of the bumper so it can sit flush on top. 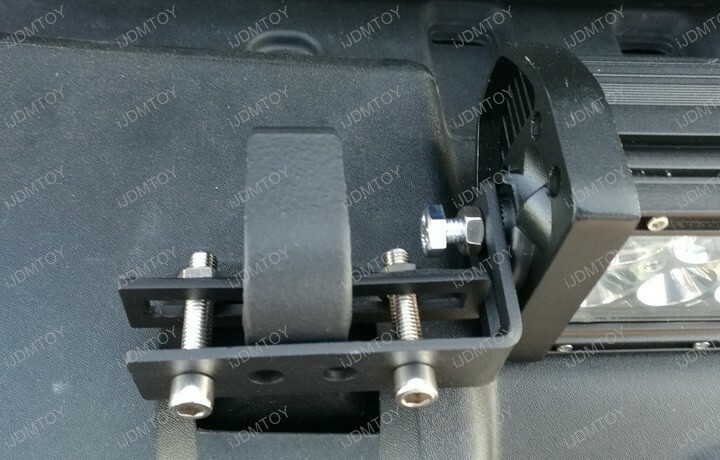 Step 2: Bolt the L-shaped metal mounting brackets onto the LED light bar. Do not fully secure it because you will be making some adjustments beforehand. Step 3: Tighten the rectangular bracket to the L-shaped bracket, sandwiching the tow hook together. 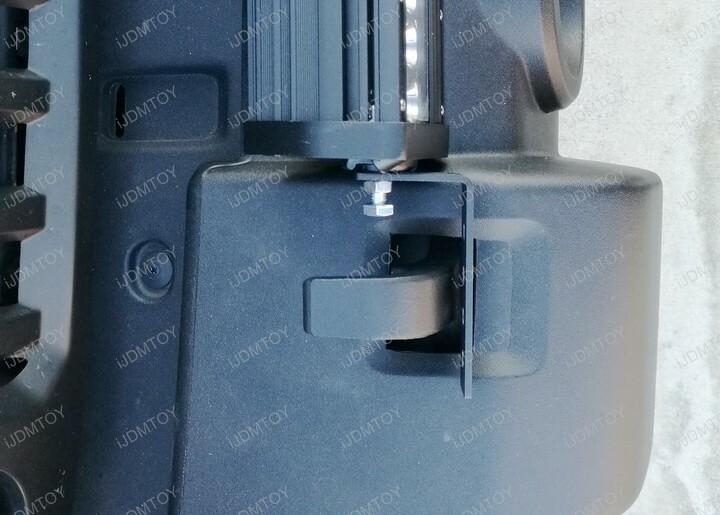 Use the 2" screws and nuts to firmly secure the two mounting brackets together. 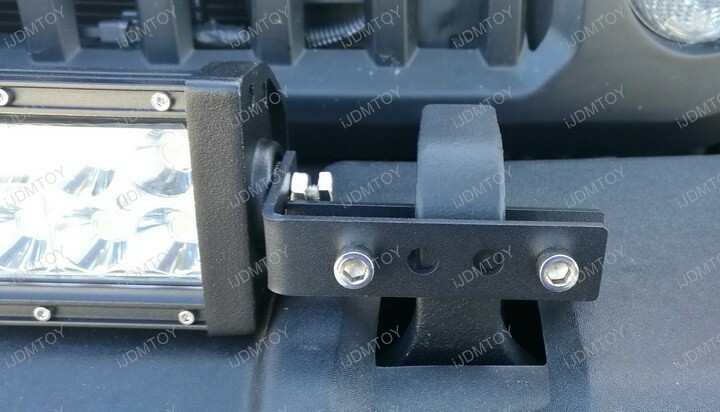 After you've secured the two brackets together, you can fully tighten the L-shaped bracket to the LED light bar. Step 4: Wire the LED light bar with a relay wiring harness. 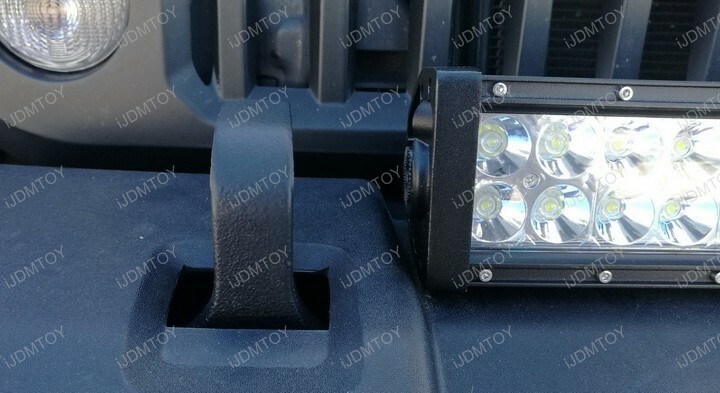 Make sure your LED light bar lights up. 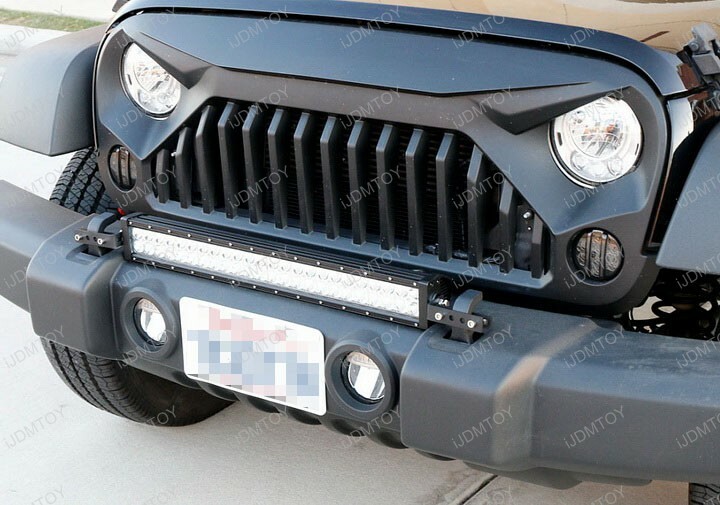 Once it does, you can now enjoy your Jeep Wrangler's new tow hook mounted LED light bar! 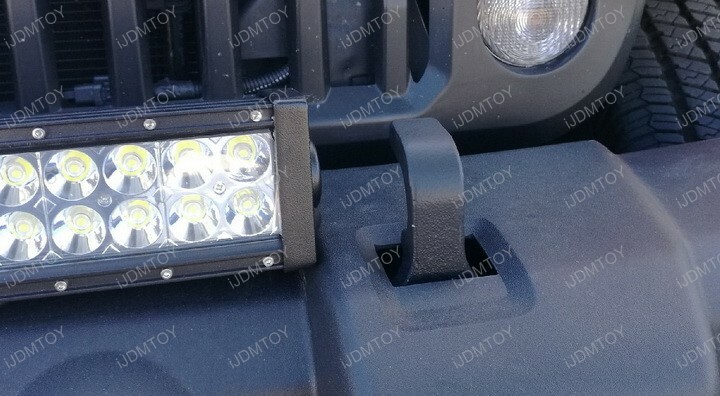 Find this and more offroad truck LED lighting today! Q: Is this mounting method viable? 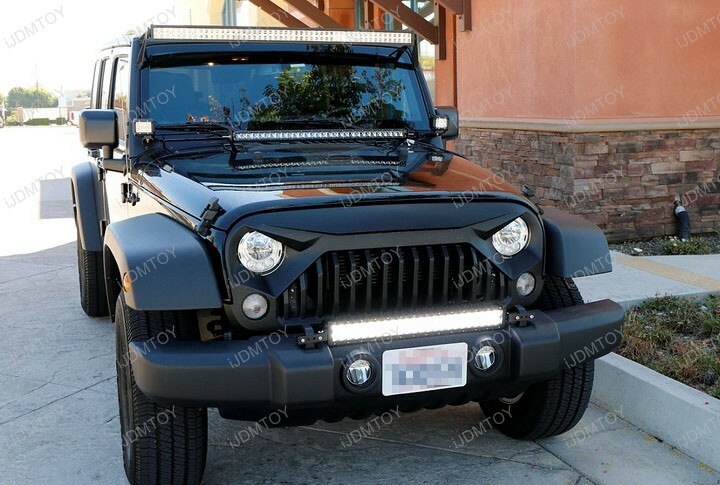 A: Yes, we've done a road trip with this Jeep Wrangler and when we returned, the LED light bar was still sturdy. In our short video below, we attempt to shake the LED light bar loose to no avail. Q: Will this mounting method scratch or mark my tow hooks? 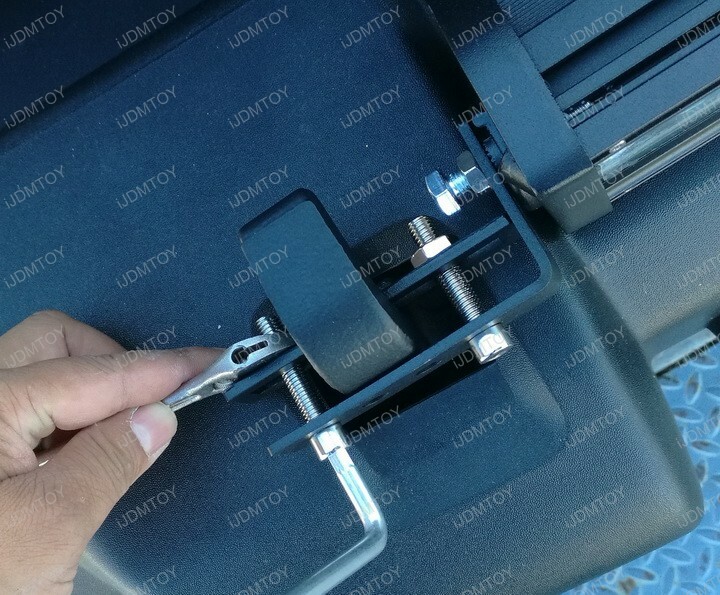 A: Because these tow hooks are made with high quality and durable steel, as well as finished with thick paint, the mounting brackets will not scratch, mark, or otherwise blemish your tow hooks.